Creating and publishing routes with ViewRanger is simple, free and allows you to share your content with millions of outdoor enthusiasts around the world. 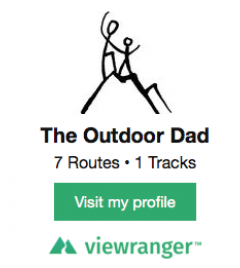 More than 700 outdoor brands use ViewRanger to promote and share their route content – including National Parks, magazines, guidebook publishers, outdoor festivals, and tourism agencies – and the platform is available for absolutely anyone to use. Simply create an account using the simple steps below, then start building your digital portfolio today. 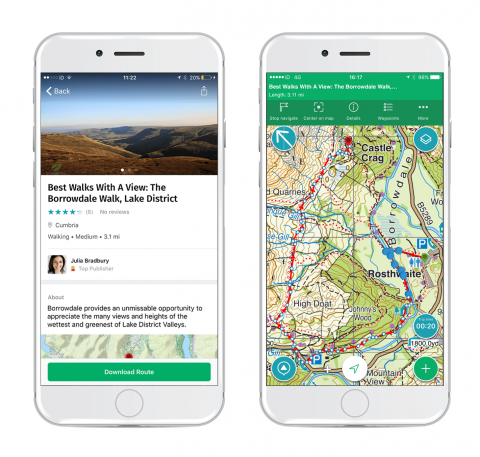 There’s no cost to create or host routes in our platform, and every published route can be downloaded on a smartphone, tablet or smartwatch then followed on a digital topographic map using ViewRanger’s offline GPS navigation – so your routes will work even without phone signal. 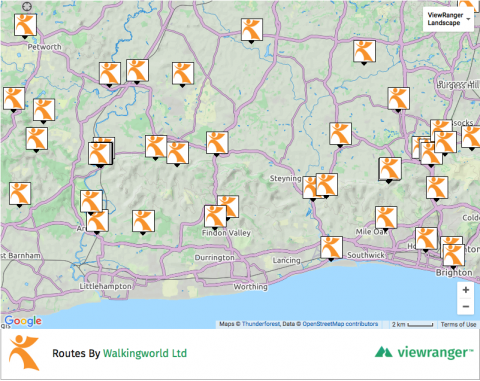 You can make your routes as simple or complicated as you like – from a line on a map to a fully interactive route guide containing text descriptions, photos and even audio clips. 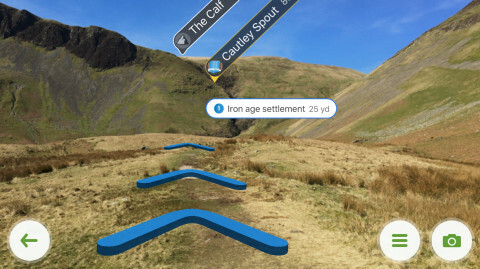 Your routes will also work when using our Skyline augmented reality (see picture below), with navigational arrows and route information being overlaid on the real landscape by your phone’s camera to provide a fully interactive experience. The first thing you need to do is create your ViewRanger profile, so download the app from the Apple App Store or Google Play, then sign up by email or log-in using Facebook or Google. Once you’ve signed up and picked your username and profile picture (logos stand out well as profile photos if you represent a brand), then you’re ready to create your routes. The best way to do this is by using our online route creation tools at the my.viewranger.com website. 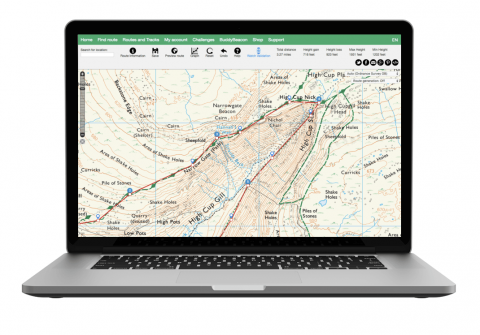 With my.viewranger.com you can either plot routes manually on to a digital map, create ViewRanger routes from an existing GPX file, or record a track using the ViewRanger app then convert it into a route. If you have a large volume of routes that you’d like to import directly into ViewRanger, email support@viewranger.com to talk to us about uploading them in bulk. Once you’ve plotted your route on my.viewranger.com, tap on the ‘Route Information’ button in the top bar to add extra layers of detail; including images, text descriptions, difficulty levels, terrain info, and useful tags indicating if it’s dog friendly, wheelchair accessible, or family friendly. You can also click on each individual waypoint to add details – including images, text descriptions and even audio files – that are geo-tagged so the story unfolds as you travel along the route. Multiple routes can be bundled together into collections – e.g. woodland trails, summer national park walks, winter walks, or backpacking trails. Each collection has its own unique URL with a ‘deep link’ that takes you straight into the app if you open it on your phone. The top collections each month will be featured in the ViewRanger Discovery tab. Once published all routes are given their own unique URL, which can easily be shared via email or on social media. Once you’ve published a route you can automatically generate a unique QR code that takes people directly to your route when scanned by their smartphone. 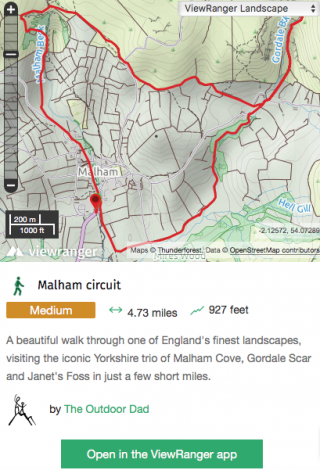 We’ve created free online widgets, making it easy to embed a search map, profile link or overview map of each route into your website or blog. The following widgets are available on your profile page at my.viewranger.com in the form of embed codes that you copy and paste into your site’s HTML. Your routes and content are intellectual property copyright protected, which means that your brand or name will always be associated with your route content. Your routes cannot be downloaded by others as simple GPX files to be reused elsewhere. Data on the most popular routes downloaded can be provided to the publisher each quarter. It is currently possible for publishers to see a list of the five most downloaded routes. We plan to develop a wider range of data available to publishers in the future. You can choose to make your content free or chargeable, with a 50/50 revenue split between the route publisher and ViewRanger. 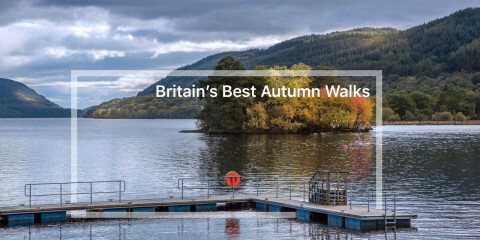 Sign up to our Partners Newsletter receive occasional newsletters containing tips and information on the latest ViewRanger updates. Contact support@viewranger.com if you have any further questions.